CHIAVARI, Italy – Every once in a while I come across a bit of obscure Italian history, little gems of local customs no longer practiced, but that were once an integral part of Italian life. This is that kind of story. 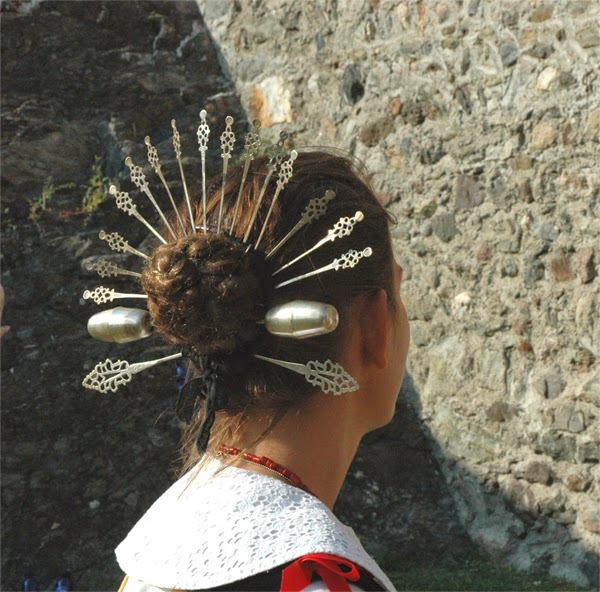 It is all about silver sperade and the part they played in the costume and customs of the Brianza, an area in the northern Italian region of Lombardy. 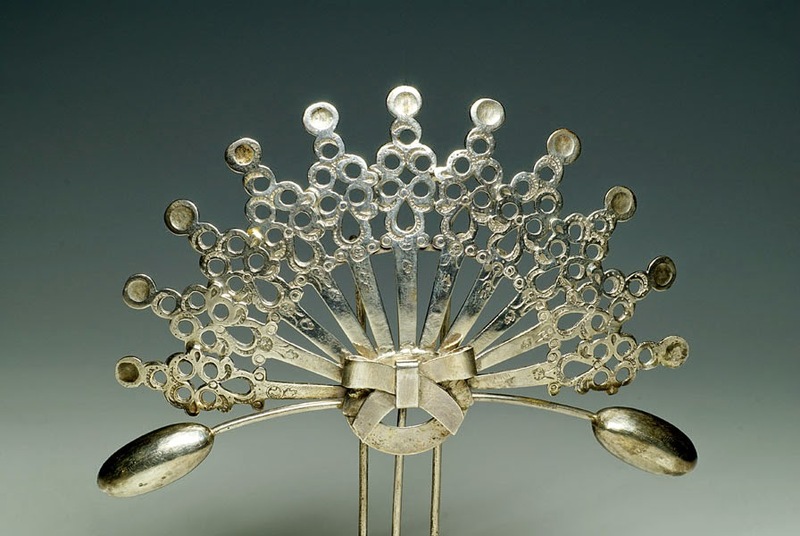 A sperada, also known as a raggiare, is a long, thin needle like hairpin, about eight inches in length, with a decorated top and bottom (olivelle), that was very much in fashion as a hair ornament in 17th century Lombardy. The characteristic fan shape formed a halo around the head of the girl who wore it, similar to the halo of the Madonna. It was called the Crown of Lombardy, not to be confused with the Iron Crown of Monza. There is some dispute as to when a girl was first gifted with a sperada, some historians say at birth, others say at puberty, but they do agree that she was not allowed to wear them until she became a woman, in other words until she began to menstruate. On that day, the long braids of her childhood were wound into a chignon by her mother, and fastened with the sperade the young girl had received over the years. Her new hair style was a signal to the community that she was now old enough to be married. This usually happened when a girl was 12, which was considered marriageable age throughout Europe, but a girl could also be younger or older as everyone develops at their own speed. 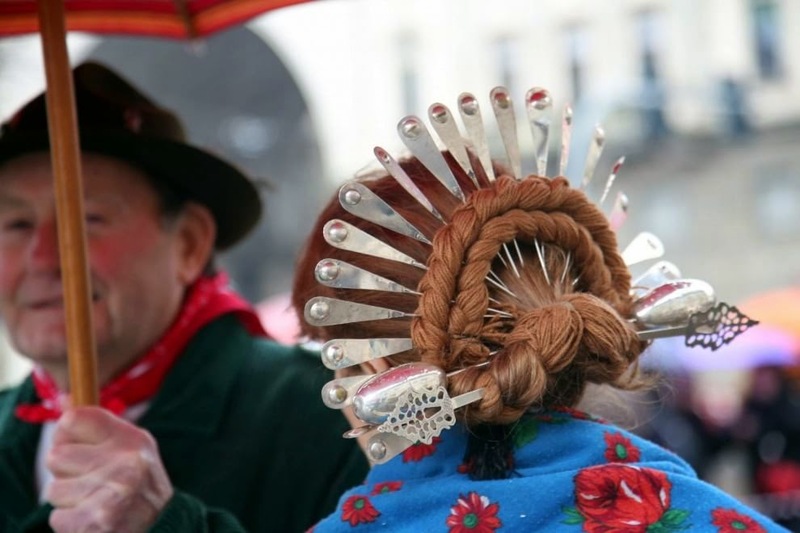 Sperade were only worn on very special occasions, and the women would spend hours helping each other with their hair. The sperade were a little complicated to put on as they were worn on the back of their heads. They could be fastened, one by one into the hair style, or they could be held in place by a wooden frame and tied with a black ribbon called a ‘fettucine nero’, or spighetta de cutun negher in local dialect. What was important was that her crown of sperade form a perfect shape, like a peacock’s tail. It wasn’t something a girl could do on her own. From the 17th to the 19th century the more expensive sperada were made by silversmiths. Using the same techniques needed to make fine jewelry, the silversmith would work the olivelle into miniature pieces of art. 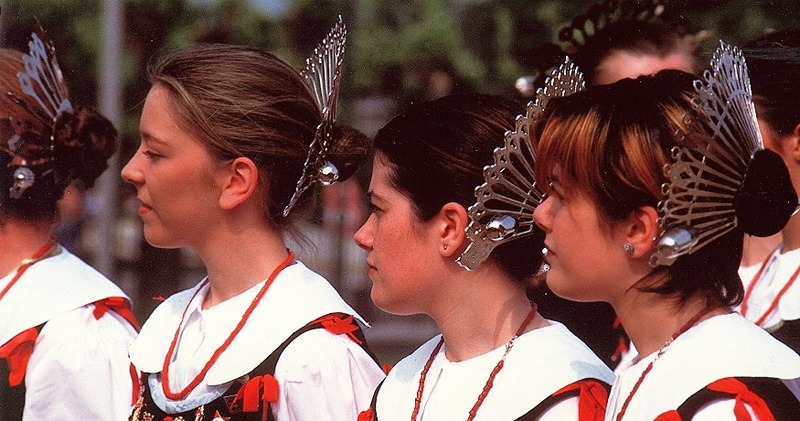 These highly decorated sperada were worn by the women of Lombardy with the same satisfaction and pride as the diamonds and furs they wear today. Sperada were considered to be “special” gifts, given on special occasions such as the birth of a child or a significant birthday. If the family was rich, women received sperade made of gold. For families who could not afford gold or high grade silver, sperade were made from less precious metals. But regardless of what they were made of, a woman could expect to receive between 45 and 47 of them during her lifetime. There are still many things I don’t understand about this custom, but I guess it is just going to remain a mystery, at least for the time being.